Tetris L Shaped Shower Bath - Only £133.99! In stock now for just £133.99 including VAT! Hurry while stocks last! The Tetris L Shaped Shower-Bath from K-Vit / Kartell is one of the most popular on the market today, thanks to its great value price, high-quality construction and its eye-catching looks. Modelled on the latest in contemporary, cubist designs, this superb shower-bath boasts stark, bold lines and a striking shape, making it an impressive centrepiece for any bathroom. The Tetris offers a larger bathing area for increased comfort, making it especially popular with families. It also offers a high water capacity, making it ideal for a relaxing, soothing soak. This is a L Shaped Bath, designed specifically to provide added room while relaxing in the tub, as well as to allow maximum room when showering. The bath features a construction of premium grade acrylic reinforced with fibreglass, along with an integrated base-board, providing maximum strength and rigidity. 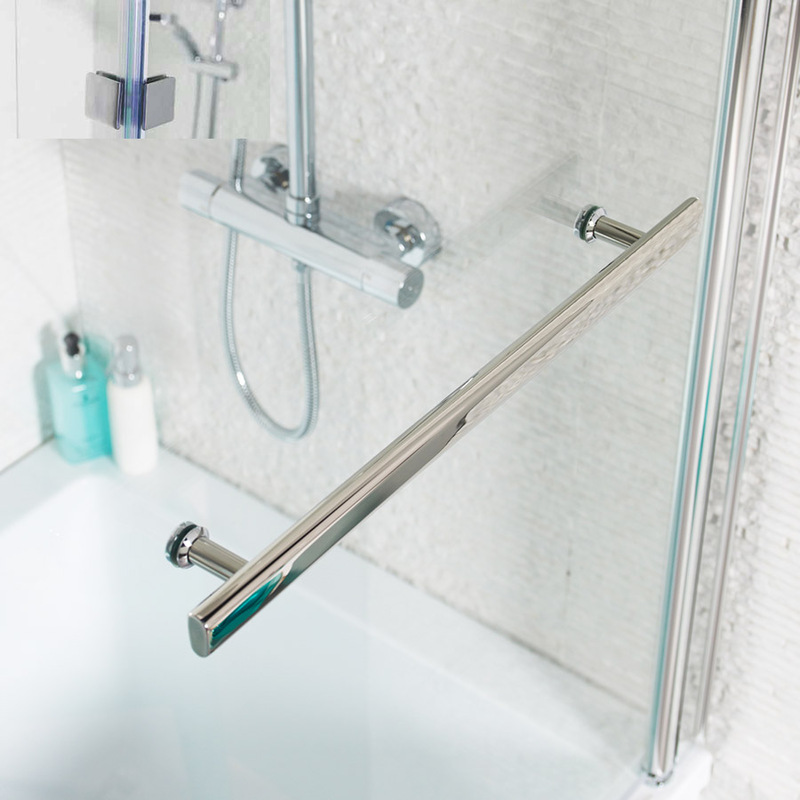 The bath comes undrilled, allowing you total freedom to select the position of taps, allowing you maximum customisation. 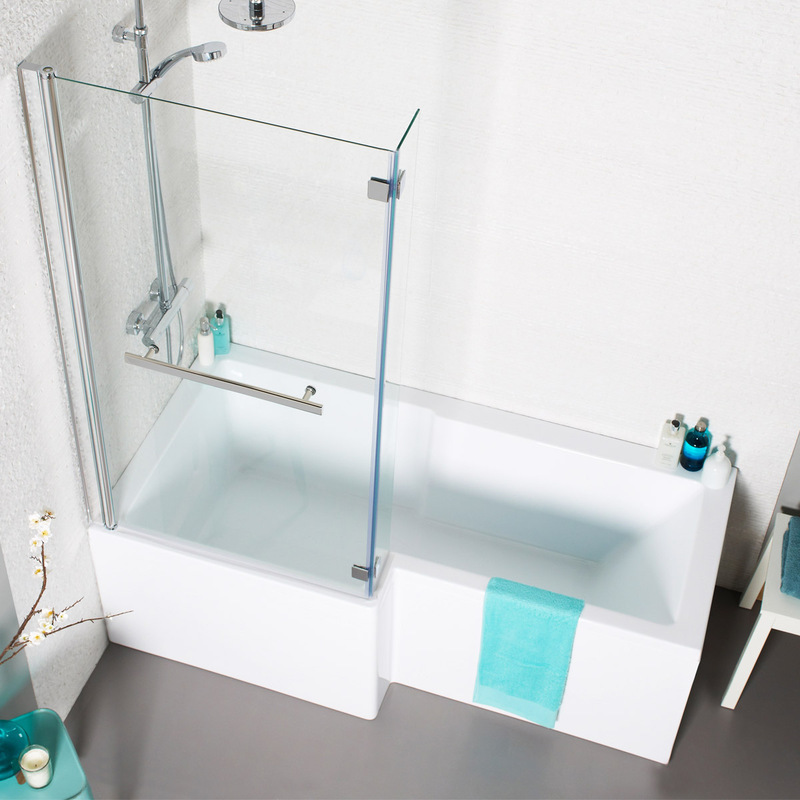 The bath is available in 1500mm and 1700mm sizes, selectable from the drop-down menu at the bottom of this page. 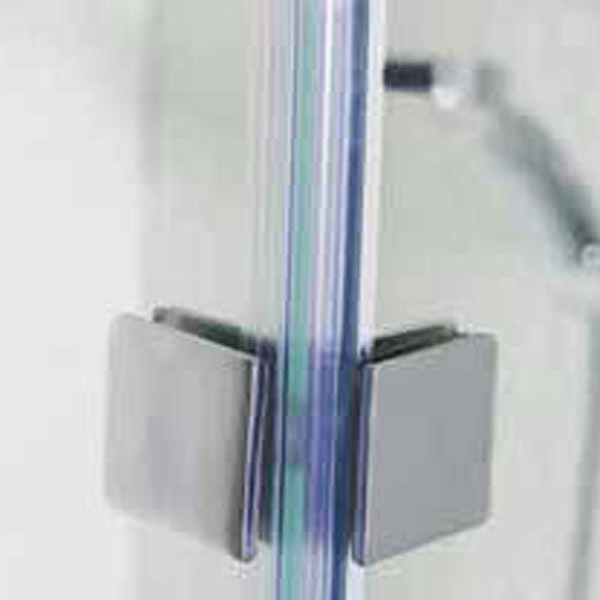 The pack can include a curved shower screen, manufactured in toughened and reinforced safety glass. 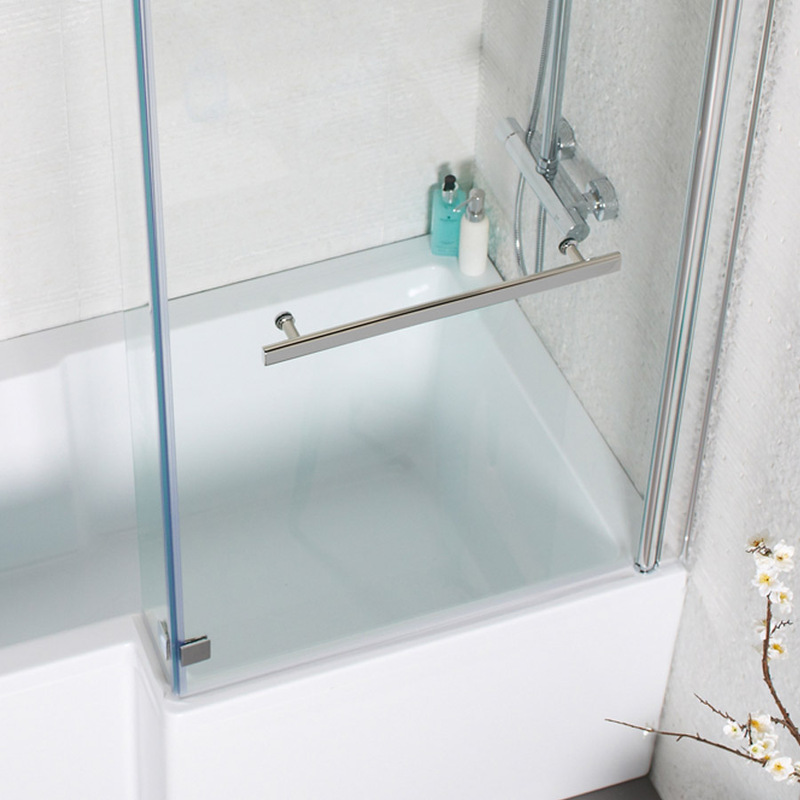 This is complete with modern and stylish chrome fittings, and a plastic seal beneath to ensure a water-tight finish so that no water escapes the bathing area. This can be added to your order via the drop-down menu below. Sleek, smooth front panels and / or end panels can also be added to your order via the menus near the bottom of this page. The Tetris L Shaped Shower Bath is available in two sizes. (Please select from the drop-down menu below).